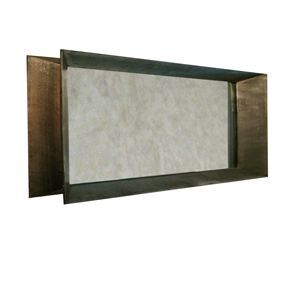 Twin Angle Mirror - TMRnyc - Total Metal Resource, Inc.
A slightly more modest version of the Massive Angle Mirror. This mirror doubles itself to become vertical or horizontal. Open up a room in the horizontal position to get your Feng-Shui on, or go full length to admire your fashion sensibilities. The Twin Angle Mirror does double duty. Handmade in Brooklyn, New York.